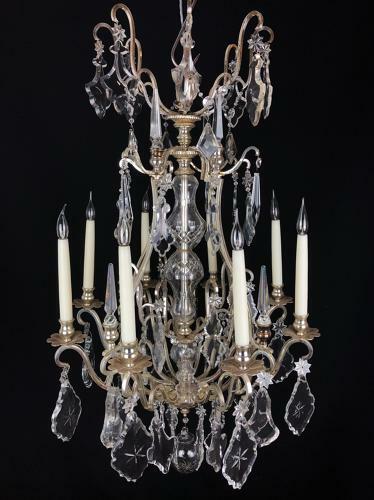 A silvered bronze, eight arm birdcage form chandelier, with a central cut glass encased stem. Each arm interspersed with a solid glass spike, the frame adorned with cut glass plaques with star burst decoration and cut glass stars, terminating with a hand blown glass ball. Circa, 1840.